A high quality AV lectern made from real wood veneered MDF. 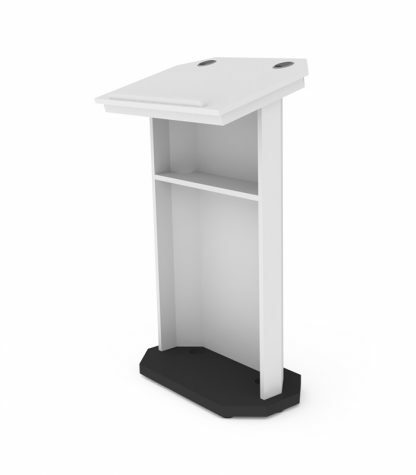 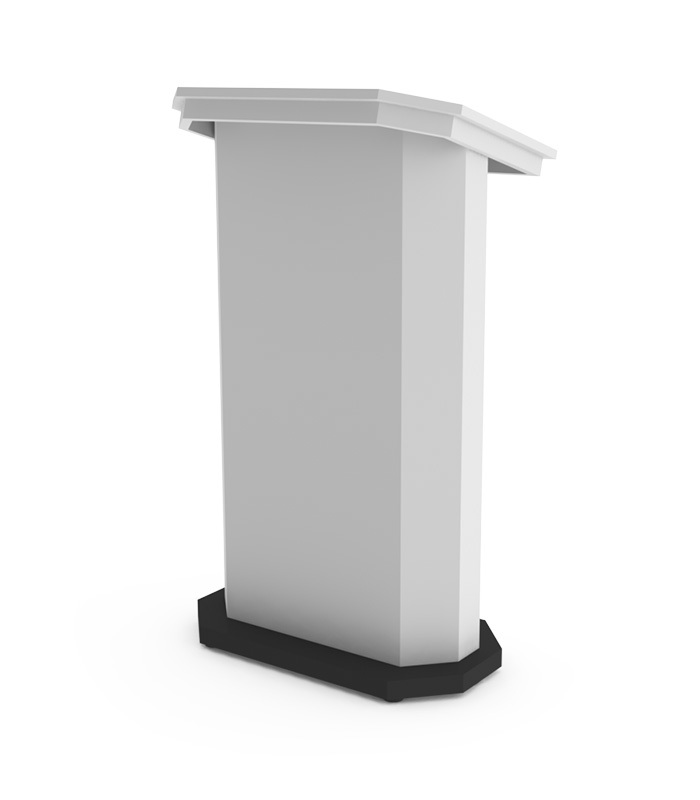 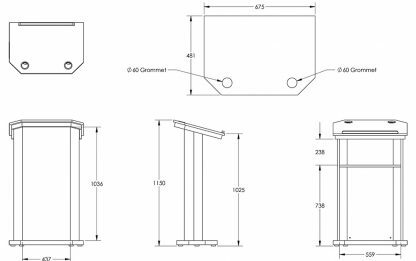 This lectern is designed to be portable and look good from any angle. 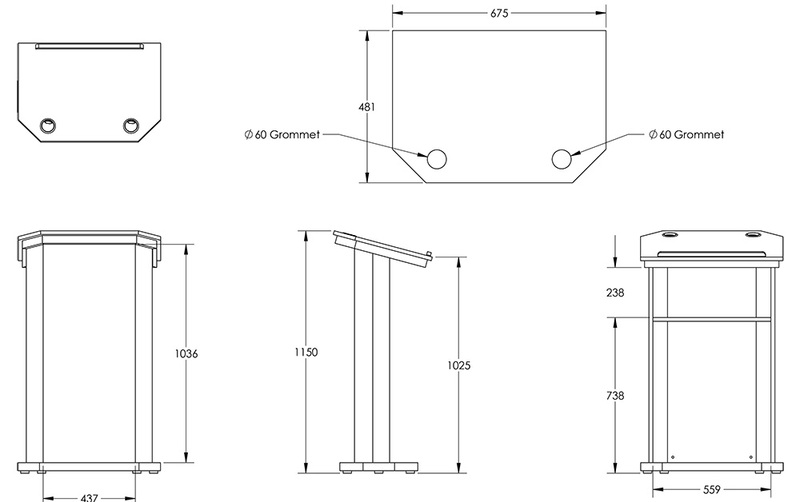 It can incorporate a small monitor. Cable management is incorporated into the lectern, down into the base,and a font pelmet is included to hide wires to any microphones or lights that might be incorporated.